With Tableau 10, we added dozens of new capabilities to your analytics toolbox to help you do more with your data. And now, we have even more for you with Tableau 10.1! With a new connector, more mapping data, and powerful APIs, there’s something for everyone, from data geeks to developers. Here are some of the biggest features. We’re continuing to make it easier to connect directly to all of your data. 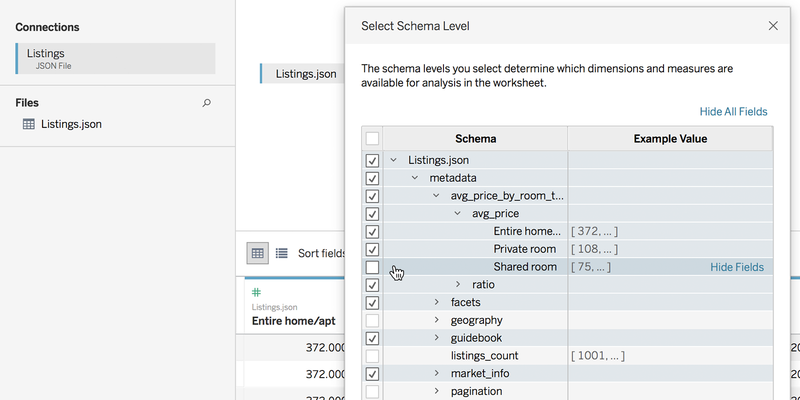 And with Tableau 10.1, we’re adding support for JSON, the standard for semi-structured data. Tableau Desktop has a simple visual interface that can interpret nested schemas easily, no scripting or code required. Bring government data, data from web APIs, and other popular JSON data sources right into Tableau with a few clicks. And we’ve got something new for you marketers out there. You can now connect directly to Marketo data and start analyzing even faster. You can integrate your Marketo data with other data sources to get better insight into your customers’ engagement. And you don’t need a data warehouse or a complicated data-prep process to do it. Web authoring keeps getting better and better. It now includes device-layout previews plus the ability to edit reference lines and use interactions like show/hide headers. You can also use a new full-screen interaction mode in the browser to maximize the impact of your data. With every release, we continue to expand Tableau’s mapping capabilities. 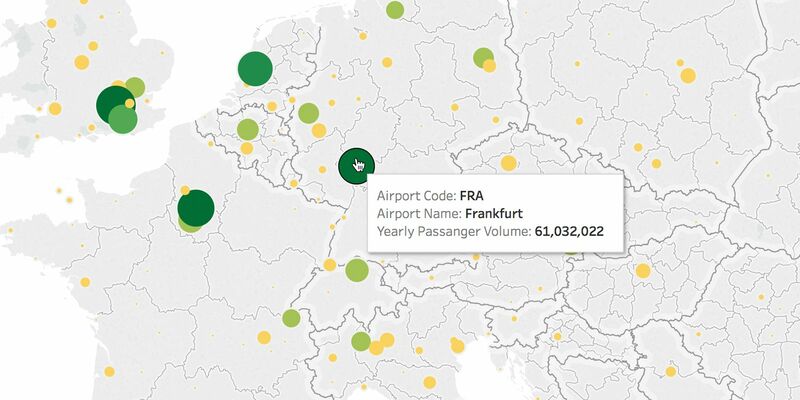 Tableau now recognizes ITA and ICAO codes, making mapping airports a breeze. We’ve also added Thailand and South Africa post codes and updated postal codes for the United States, Germany, France, Spain, Belgium, Netherlands, Switzerland, Denmark, Italy, Czech Republic, Slovakia, and Turkey. We now support postal code-level data for 56 countries globally. And just in time for the US election, we’ve updated the US Congressional districts. Calling all developers! 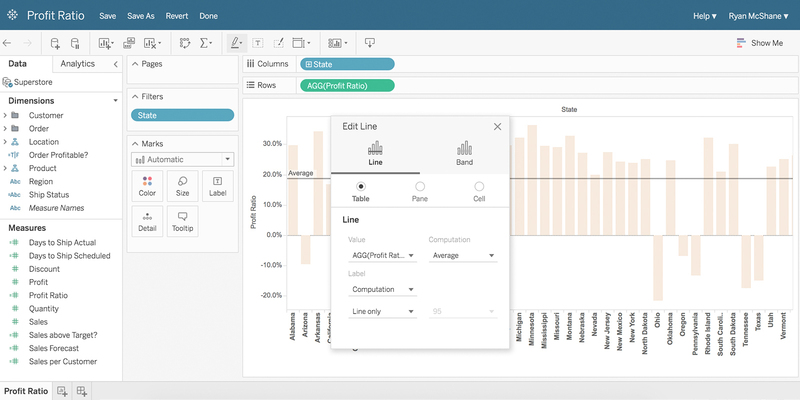 You now have more flexibility to customize Tableau with our new extensibility enhancements. The Server API now has a complete Server Client Library to help reduce valuable development time for IT. The Tableau REST API now supports filtering in more places to enable more flexibility and more powerful queries. We've created a sample open-source app using the Cordova framework (which includes all relevant documentation) to make it fast and easy for you to build Tableau visualizations into your mobile app. These are just a few of the dozens of features included in Tableau 10.1. Check out the full list. Your JSON Data is Ready for Analysis in Tableau 10.1! We’d like to extend a huge thank you to the 16,000 beta testers who tried the Tableau 10.1 beta. We couldn’t do this without you! If you’d like to be involved in future beta programs, sign up today. after update to Tableau 10.1 when i am trying to upload dashboards with size more than ~2MB i am getting an error with information operation timed out. JSON file support is good but will be idea if it can consume Web API JSON directly instead of going through Web Data Connector. Postal code-level data for 56 countries sounds great. Unfortunately there are some aries and districs that postcodes don't cover. As for me, I always check postal codes here http://worldpostalcode.com/australia/. Just need to click on the map to know the approximate postal address/code of that location.